This may seem like its too simple, but it’s usually the simple things that you do that draw in greatness. Live every day of your life expecting miracles. Too often, you start expecting things that are the exact opposite, despite stating intentions of what you truly desire. When this happens, you draw into your life things that don’t align with what you really want. Don’t expect bills to come in the mail or bad news to be on the other line of the phone. Don’t expect to have a busy day at work or a hard time confronting someone you love. Expect the opposite. 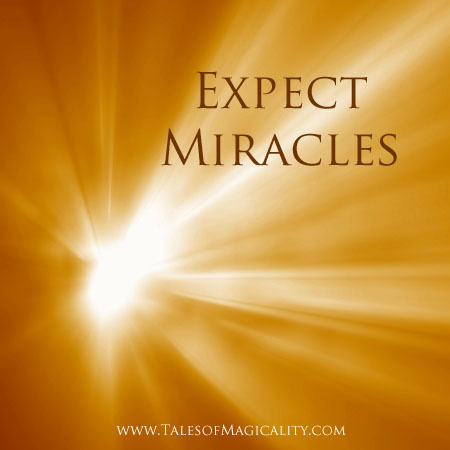 Expect miracles and you will get them.